But MRI is still a relatively new technology. Stronger and higher-resolution MRIs are continually under development. If you have a cochlear implant, these developments can directly affect your ability to use the most current MRI technology. That’s because the magnet in an MRI machine can interact with the magnet in a cochlear implant. Each cochlear implant can only be used at the specific MRI strengths which are approved by regulatory agencies like the FDA*. If you’re considering a cochlear implant, keeping up to date with the latest MRI and cochlear implant technology means that you’ll be well-informed about the best cochlear implant for you. But that’s not to say that even the lowest-strength MRI machine uses a weak magnet. For comparison, the Earth’s magnetic field is 0.00005 Tesla. Practically all currently manufactured cochlear implants are approved for use at 0.2 Tesla with the magnet in place. 1.0–1.5 Tesla MRI came around in the 1980s. This increase in power brought with it an increase in resolution, but it was also incompatible with many cochlear implants. That’s because the machine’s magnet could pull on the cochlear implant’s magnet and move it around under the skin. One way that some cochlear implants got around this was by having a removable magnet: the surgeon would have to cut through the skin to the implant to remove the magnet before the MRI procedure and replace it afterwards. In the meantime the whole cochlear implant would be unusable because the coil couldn’t stay affixed to it. 3.0 Tesla MRI is twice as strong as 1.5 T MRI. 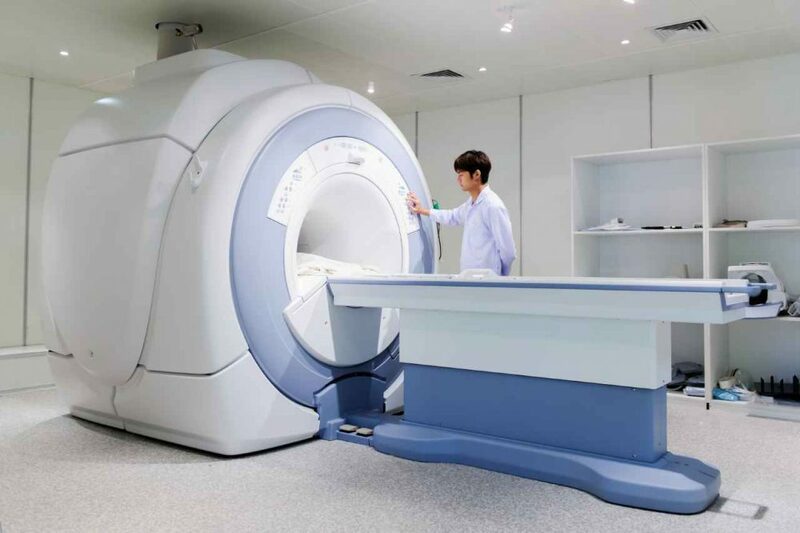 3.0 T MRI machines were introduced in hospitals around 2003 and are some of the strongest, and therefore highest-resolution, machines currently used in non-experimental settings. However, many cochlear implants are not compatible with 3.0 T MRI. Like the previous jump from 0.2 T to 1.5 T MRI, this new increase in power places increased demands on the cochlear implant’s magnet. There is currently only one cochlear implant approved for 3.0 T MRI without magnet removal: the new MED-EL SYNCHRONY Cochlear Implant. What is it about the SYNCHRONY that makes it the only cochlear implant approved for 3.0 Tesla MRI without surgical removal of the magnet? It’s all in the magnet. The SYNCHRONY Cochlear Implant's rotatable magnet. All magnets have north and south poles, so an MRI machine’s magnet will interact differently with the cochlear implant’s magnet depending on which pole is closest. 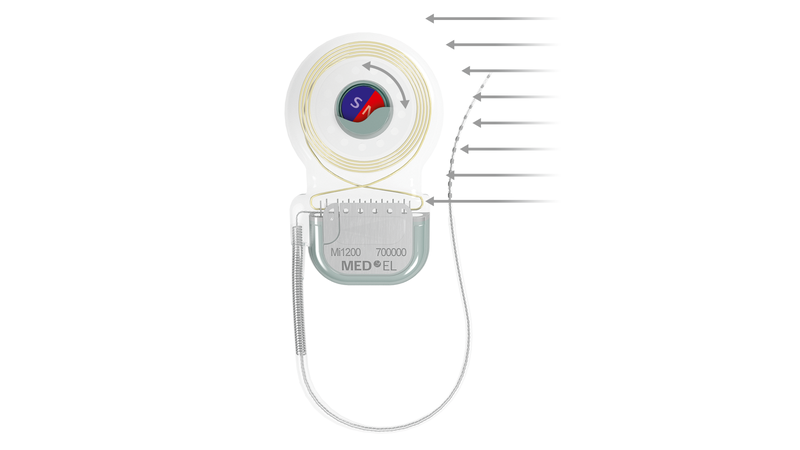 Previous cochlear implant designs, MED-EL’s included, used a magnet which was fixed in place. When the machine is activated, a fixed magnet is pulled on because it isn’t aligned with the machine’s magnet. The SYNCHRONY’s magnet does away with this problem. Instead of being fixed permanently in one position, it “floats” in a titanium housing and is able to freely rotate. This allows it to self-align with the machine’s magnet. Is the machine’s magnet to the left? SYNCHRONY’s magnet rotates to it. Is the machine’s magnet to the right? SYNCHRONY’s magnet can rotate that way too. That means that it’s possible to have a strong 3.0 Tesla MRI even without removing the magnet. Are you considering a cochlear implant and want to learn more? Check out all the benefits of the SYNCHRONY Cochlear Implant system at our website. *For the purposes of consistency, “approval” as used in this blog post refers to the label “MR Conditional” as used by the Food and Drug Administration (FDA), the regulatory agency responsible for MRI approvals of cochlear implants in the USA. Approvals are accurate as of the date of publication of this blog article. Approval in your specific country or area may be different to the FDA approval.